Nancy L. Dowds, age 91, of Shelby died Monday morning September 10, 2018 at the Marietta Memorial Hospital. Born August 23, 1927 in Ft. Wayne, Indiana, she was the daughter of Lee Van and Fannie (Vallieu) Myers. 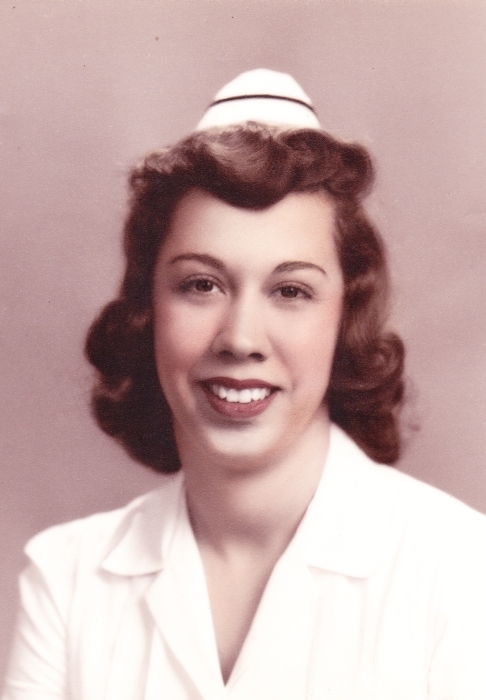 Nancy was a 1945 graduate of Fairview High School in Dayton, Ohio and then she received her nurses’ training from Christ Hospital in Cincinnati in the Spring of 1948. Nancy was a registered nurse retiring in 1992 from Shelby Memorial Hospital. She was a member of the First United Methodist Church and various nursing organizations over the years. Nancy enjoyed sports - she was very active playing tennis and field hockey in her youth, and watching and supporting the Shelby Whippets throughout her life in Shelby. She was especially fond of the Cleveland Indians and the Cleveland Cavaliers. She also enjoyed knitting and traveling--travelling to many countries after her retirement. She lived life to the fullest. Nancy served on the Richland County Board of Health, invested years volunteering with Meals on Wheels and FISH phones in Shelby, and volunteered at Shelby Memorial Hospital after her retirement. Nancy was remembered by her loved ones for her optimism and gratitude in all circumstances, her ability to see beauty in the smallest details of nature and in all things and people, her servant heart and pure love for all people - especially her family, friends, and many patients at the Shelby Memorial Hospital. Nancy lived and loved well. Nancy was a woman of noble character. She will be greatly missed. She is survived by her children, Julia (Alan) Thompson of Vienna, West Virginia and Matt Dowds (Meredith) of Columbus, Ohio; three grandsons, Shawn, Travis, and Nathan Dowds, and grandson, Joshua Daniel Dowds, due in December 2018, her great grandson, Devyn Dowds; her sister, Sue Ann Cline of Beavercreek, Ohio, and many loving nieces and nephews. She was preceded in death by her late husband, Robert B. Dowds (d. 7/22/1991), her parents, her son, Daniel Grant Dowds (d. 4/30/2016), and her brother, Lee Van Myers, Jr. (d. 5/3/2016) of Atlanta, Georgia, and many friends and family who were part of the Greatest Generation. By Nancy's wishes, there will be no services or calling hours. Memorial contributions may be made in her memory to either The Christ Hospital Foundation or Shelby Memorial Hospital. Barkdull Funeral Home in Shelby is assisting the Dowds family with arrangements.